LAS VEGAS -- Jose Aldo ruled the featherweight division for seven years. His fall to Conor McGregor took 13 seconds. 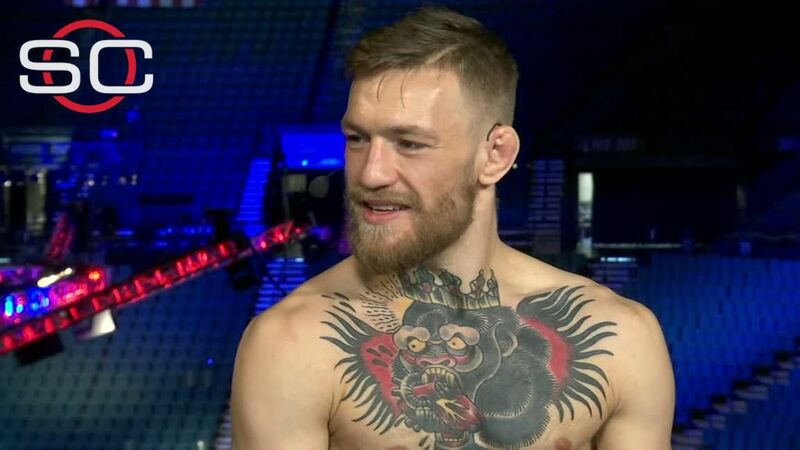 McGregor (19-2), the brash, outspoken, Irish phenom who has taken the sport by storm since he signed with the UFC in 2013, claimed the UFC featherweight title Saturday night, knocking out Aldo (25-2) with a clean counter left hand just 13 seconds into the fight. It marked Aldo's first loss in 10 years and extended McGregor's win streak to 15 fights. It is also the fastest finish in UFC title-fight history, beating former female bantamweight champion Ronda Rousey's previous mark of 14 seconds set at UFC 184 in February. After the bout -- which headlined UFC 194 inside the MGM Grand Garden Arena, drew an attendance of 16,516 and took in a U.S.-record gate revenue of $10.1 million -- McGregor expressed sympathy for Aldo regarding the brevity of the fight, but insisted his victory was all but inevitable. "I feel for Jose," McGregor said. "He's a phenomenal champion. He deserved to go a little bit longer. I still feel, at the end of the day, precision beats power, timing beats speed. All day, it would have happened." As he nursed a cut on the bridge of his nose, Aldo, 29, immediately said he wanted a rematch. "He threw a cross at my chest I wasn't expecting," Aldo said via a translator. "I think we need a rematch. It wasn't really a fight." The two met in the middle of the cage the second referee John McCarthy started the fight. After a McGregor left broke the ice, Aldo came in hard with a lead right hand and left hook. McGregor, a southpaw, slipped the right hand and threw the counter left that dropped Aldo instantly. As he fell, Aldo's left hook came through and grazed McGregor across the face. Aldo fell to his back, where McGregor followed with two hard hammerfists from a standing position. McCarthy had already started to dive between them as the second blow came down. "Nobody can take that left-hand shot," McGregor said. "He's powerful and he's fast, but precision beats power, timing beats speed. That's what you saw there. "These are fundamentals. That's all it takes. These are fundamentals, especially when you have my left hand." McGregor could remain at featherweight and face No. 1 contenderFrankie Edgar(20-4-1), a former lightweight champion who is on a five-fight win streak and is coming off a knockoutwin againstChad Mendes. The 27-year-old could also move up to lightweight and challenge for that title. In UFC history, only two men have ever won belts at different weight classes:Randy Couture andBJ Penn. Current lightweight champion Rafael dos Anjos is scheduled to defend the title against Donald Cerrone next week in Orlando, Florida. "I think that was always his plan," UFC president Dana White told SportsCenter. "He wanted to fight Jose Aldo and then move to 155 and fight for that title. "Whoever wins this fight [on Saturday], between Dos Anjos and Cowboy Cerrone, we'll see who wins that fight and go from there." The championship fight brought to a close a rivalry that had brewed all year. In January, McGregor earned a title shot by knocking out Dennis Siver in the second round in UFC 183 at TD Garden in Boston. After the fight, McGregor jumped the fence and confronted Aldo, who was observing the fight from the front row. The UFC opted to invest in its first World Tour promotion for the fight, setting up March news conferences for McGregor and Aldo in stops that included Rio de Janeiro, Las Vegas, New York, London and Dublin. McGregor repeatedly promised a first-round knockout. The week of the fight, he said anything after the first four minutes of the bout would be a "formality." The fight was scheduled at UFC 189 in July, but Aldo, who fights out of Nova Uniao in Rio, withdrew with a rib injury. McGregor remained on the card and fought three-time title challenger Chad Mendes for the interim belt. He knocked out Mendes in the second round and unified that title with Aldo's on Saturday night. McGregor's past five wins have come via knockout. He has not lost since November 2010, when he facedJoseph Duffy, a current UFC lightweight. 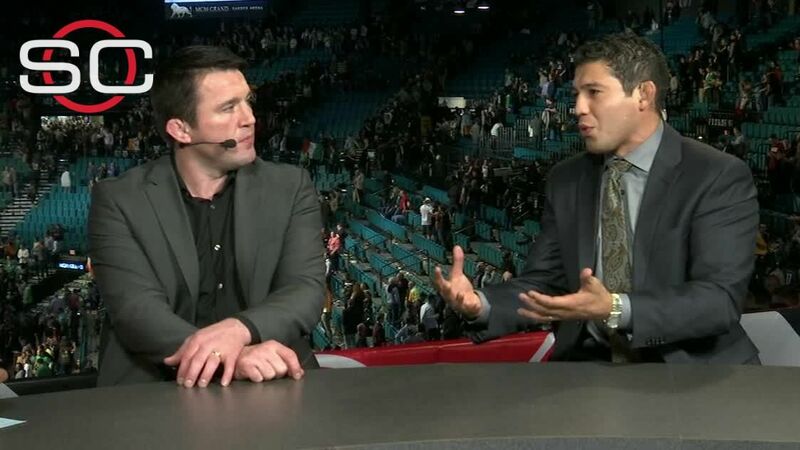 Chael Sonnen and Gilbert Melendez discuss the finish of UFC 194 main event between Conor McGregor and Jose Aldo, with Sonnen saying "I watched it happen and I still wasn't sure what I was watching." UFC featherweight champion Conor McGregor joins SportsCenter to break down his 13-second knockout win over Jose Aldo at UFC 194 and if he'd be willing to give Aldo a rematch.